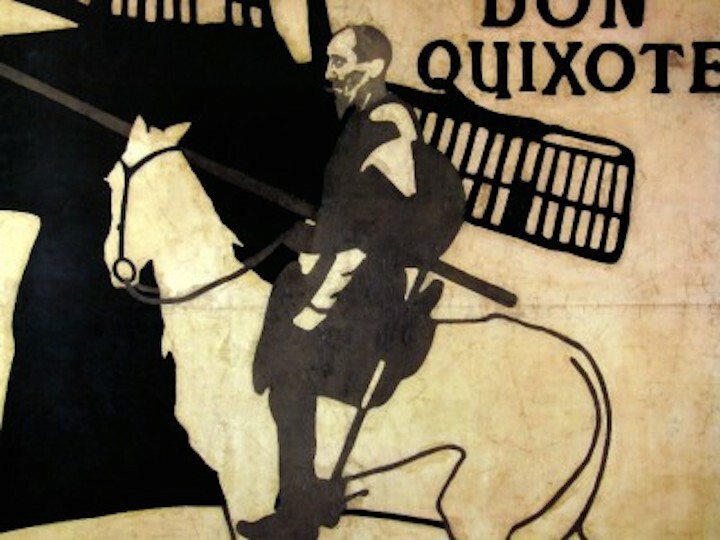 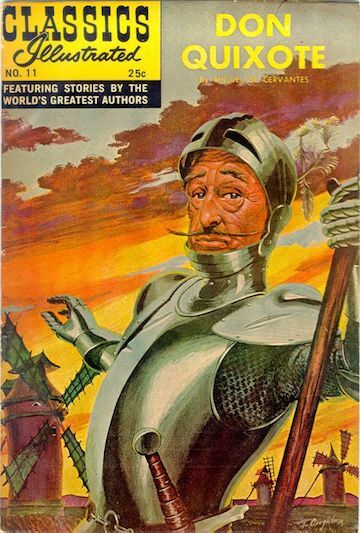 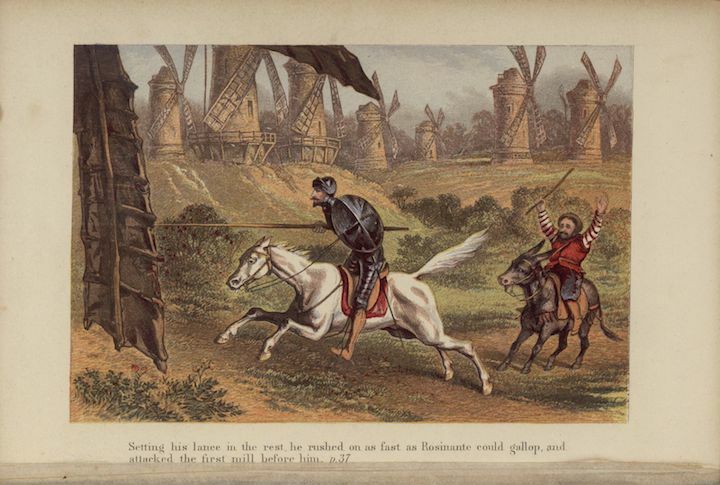 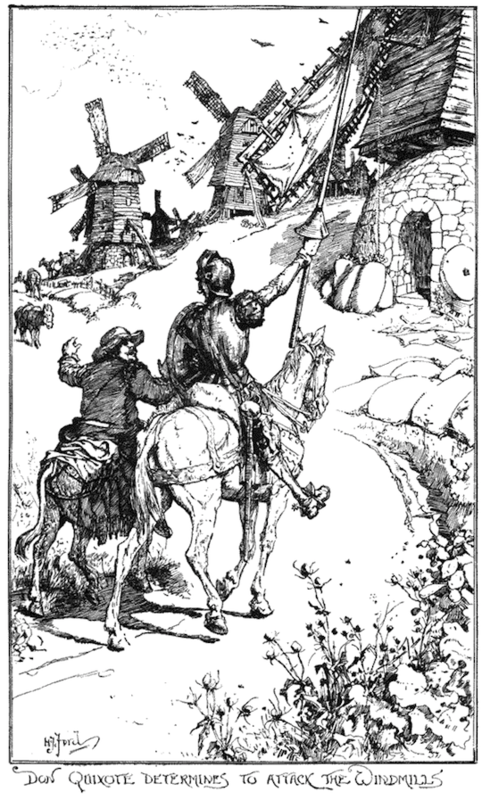 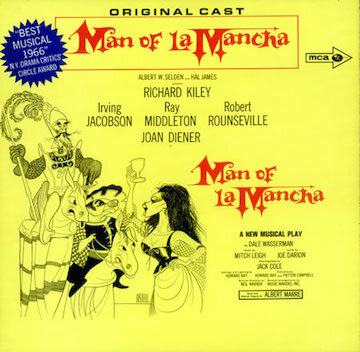 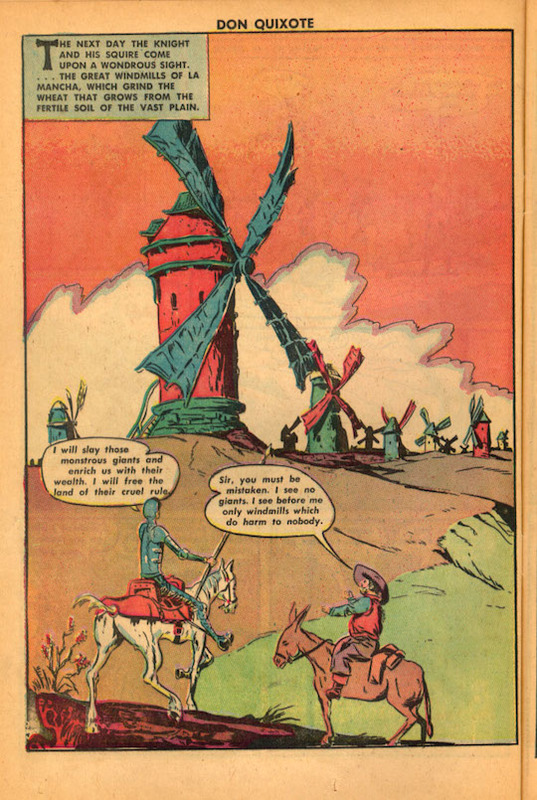 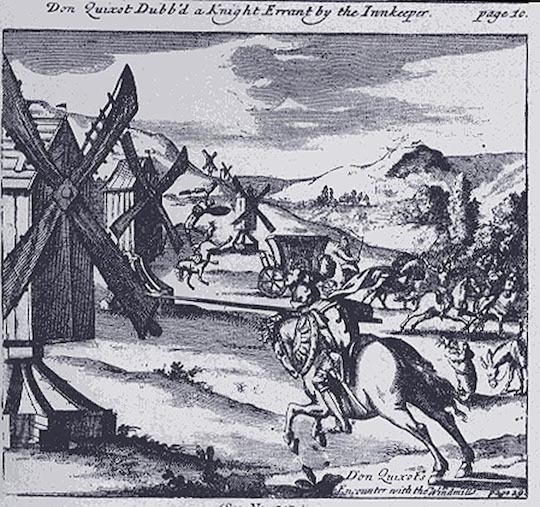 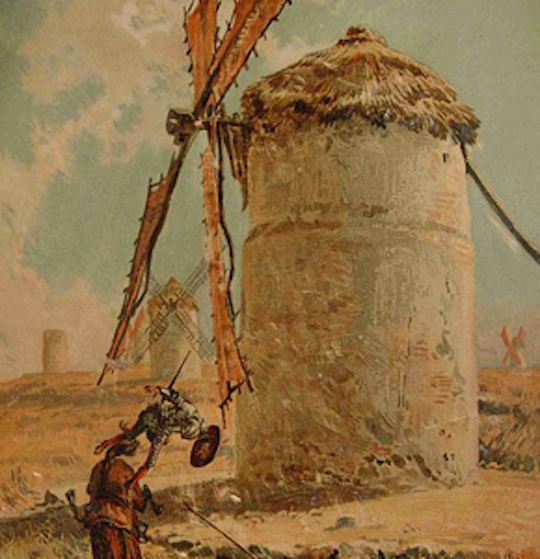 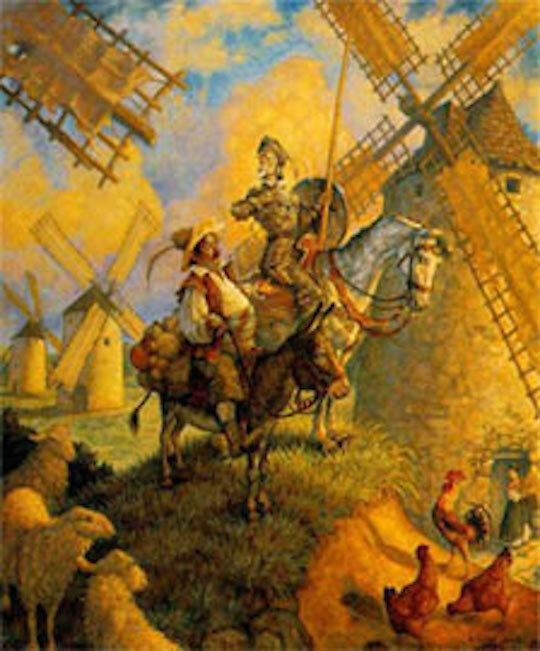 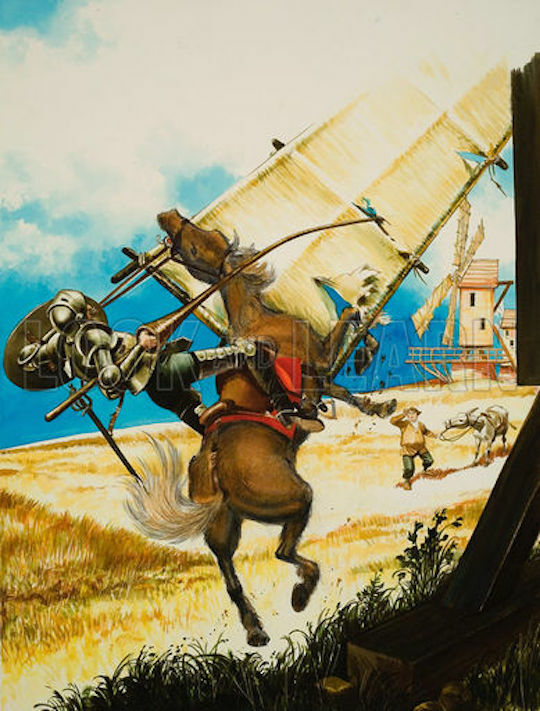 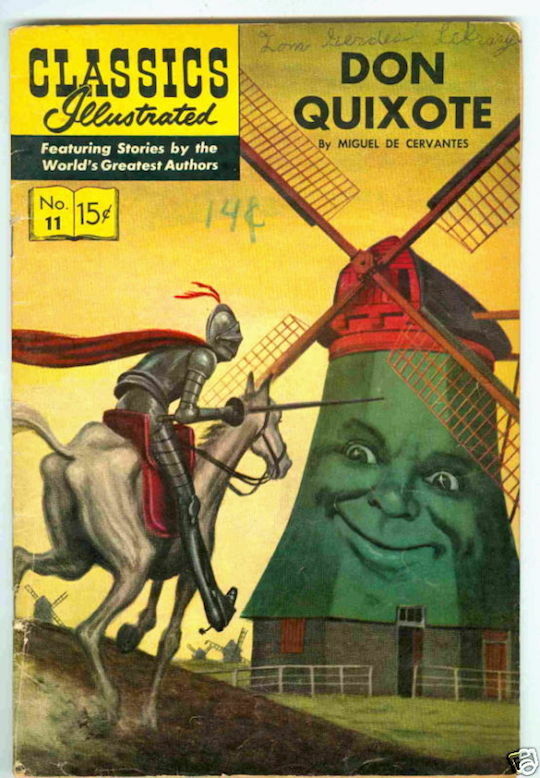 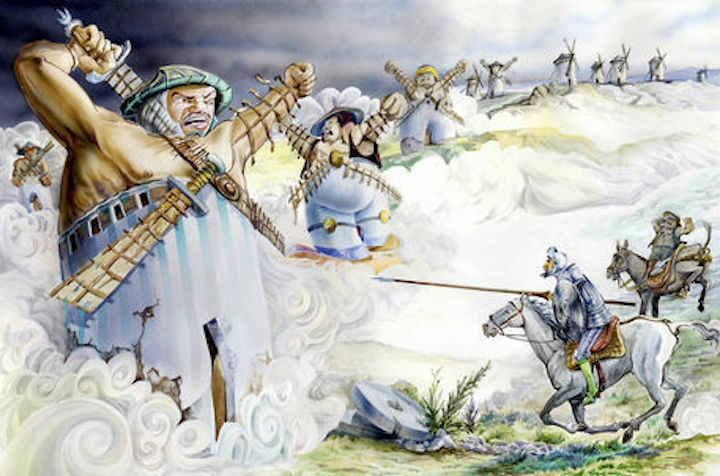 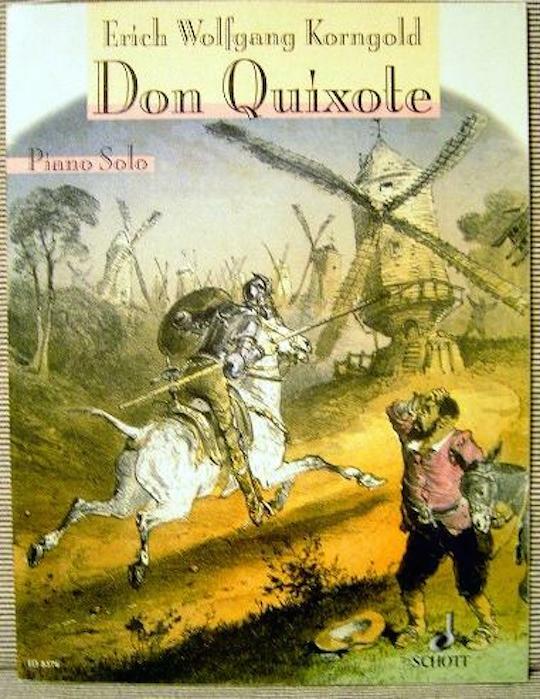 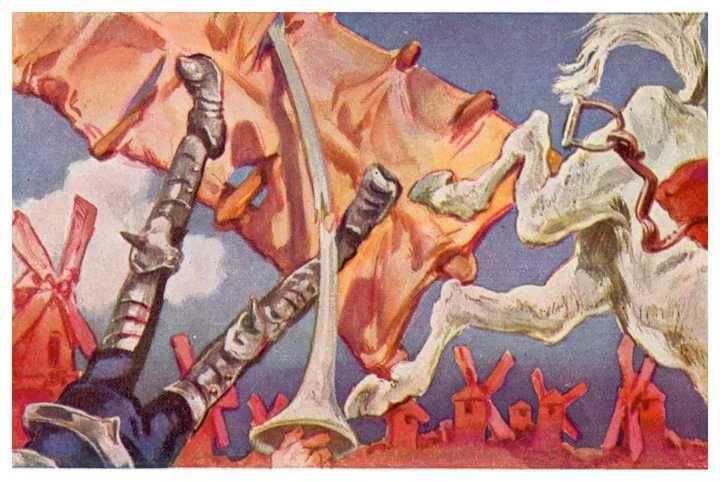 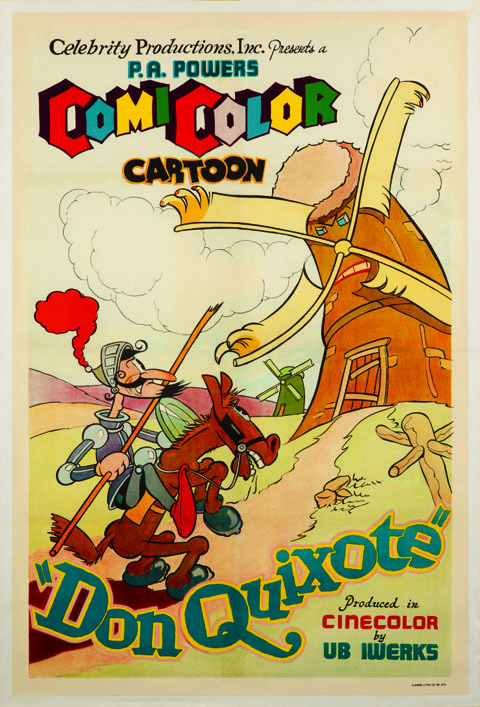 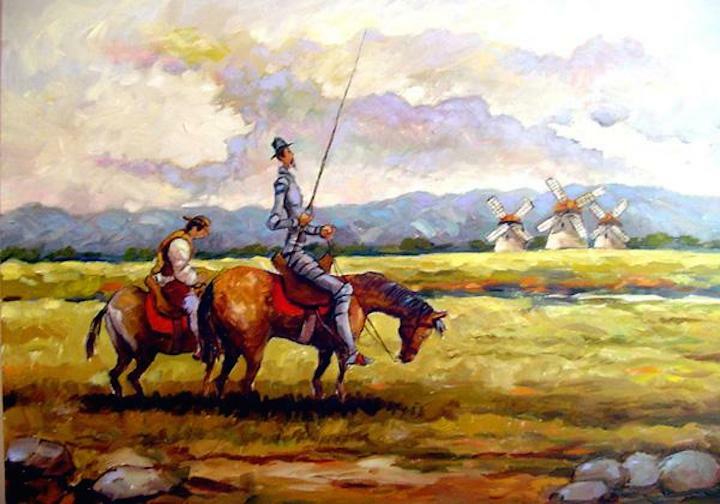 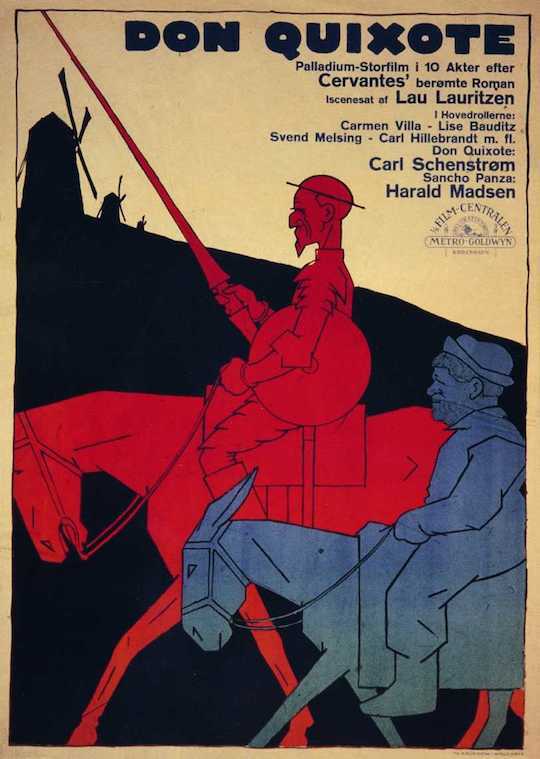 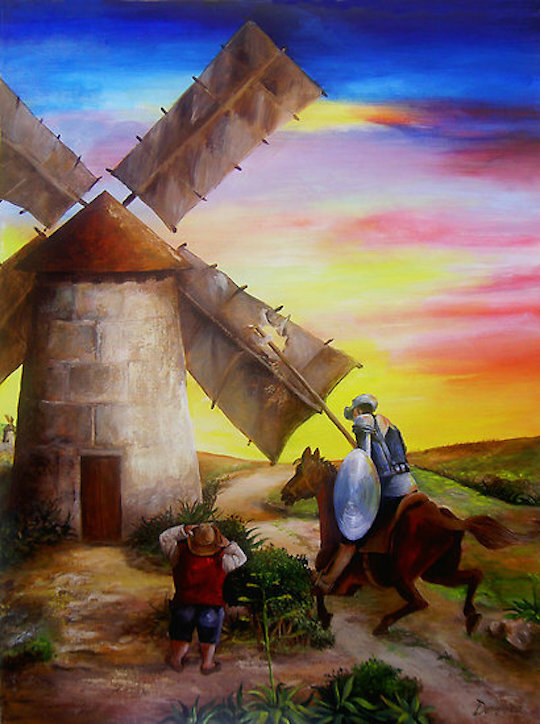 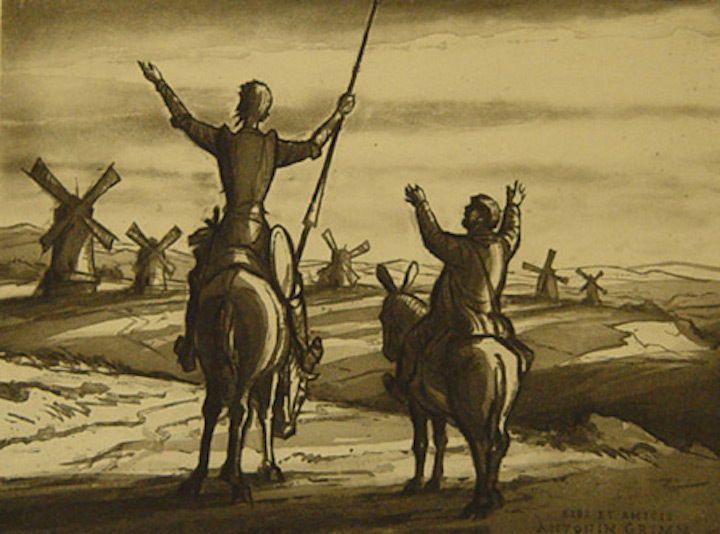 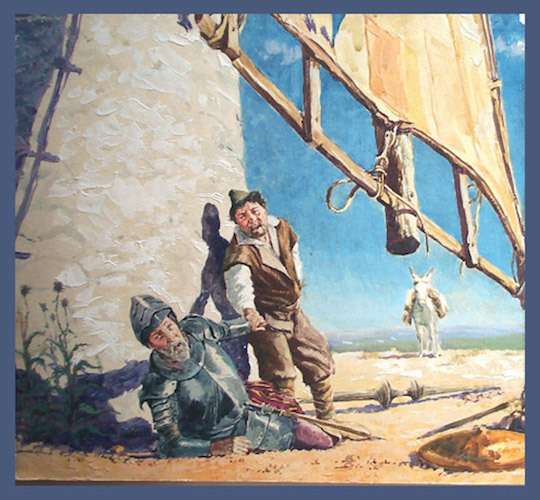 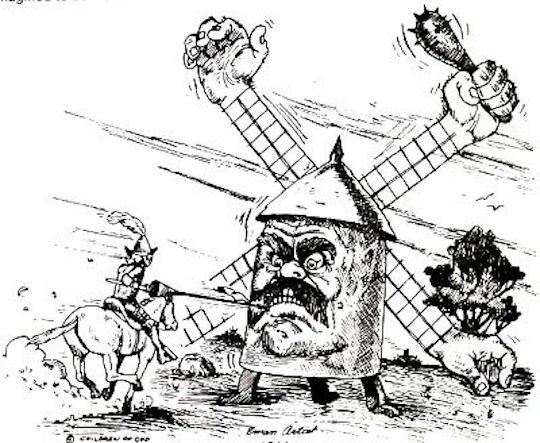 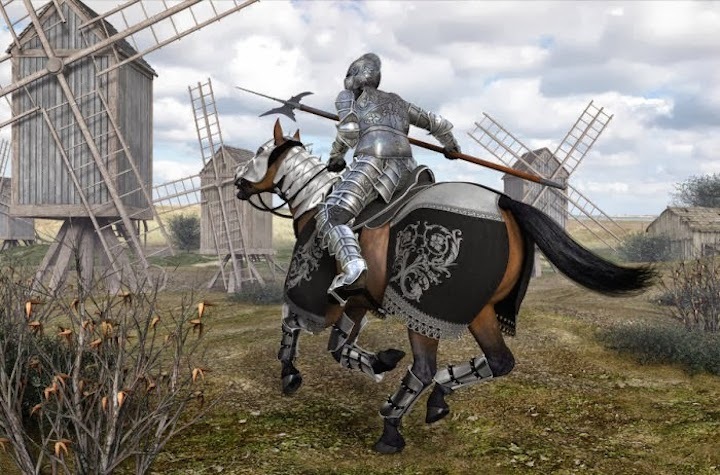 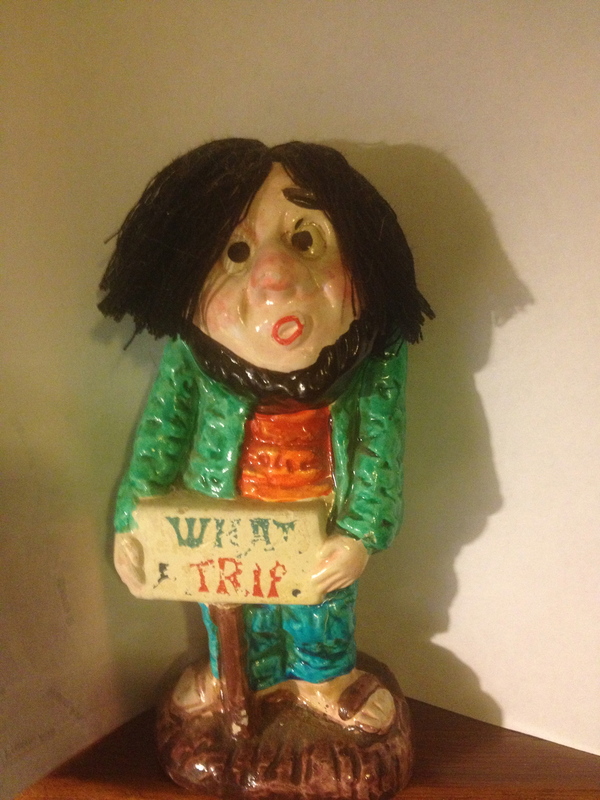 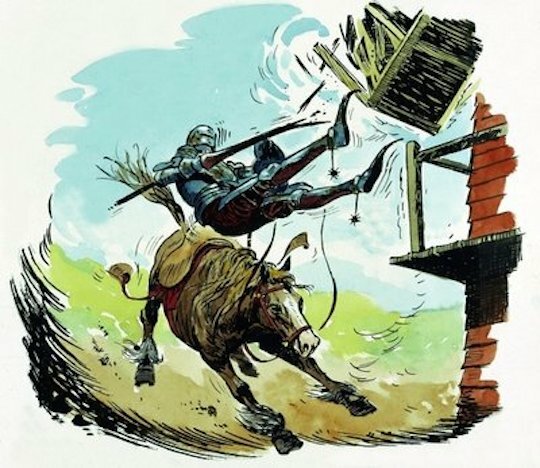 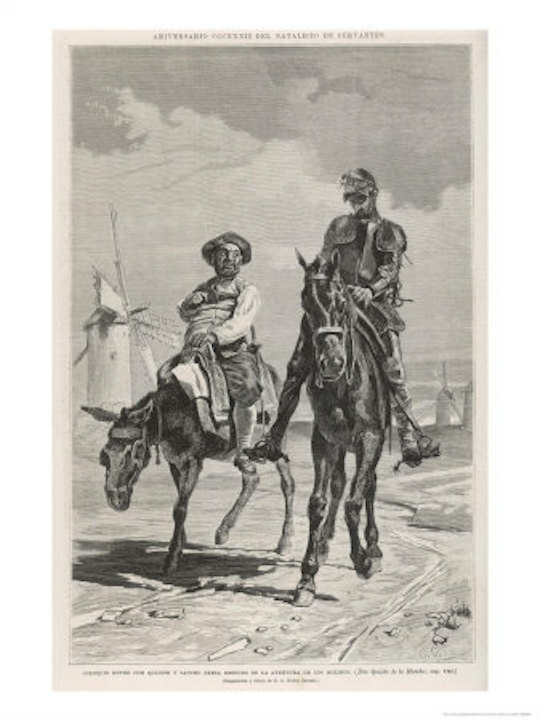 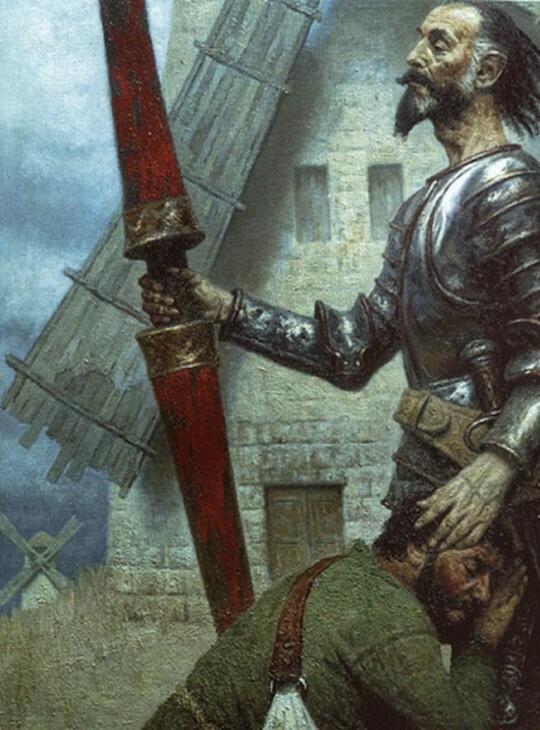 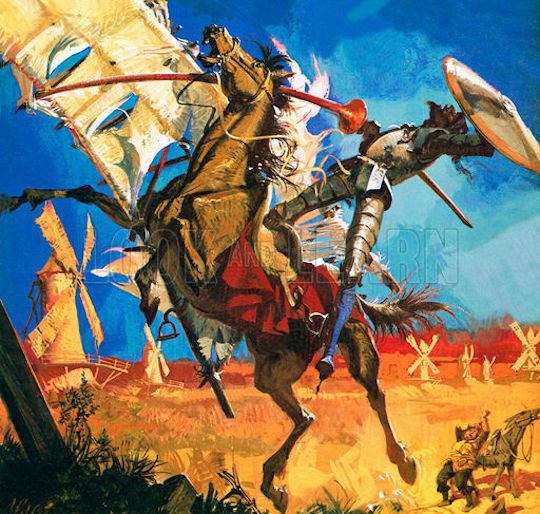 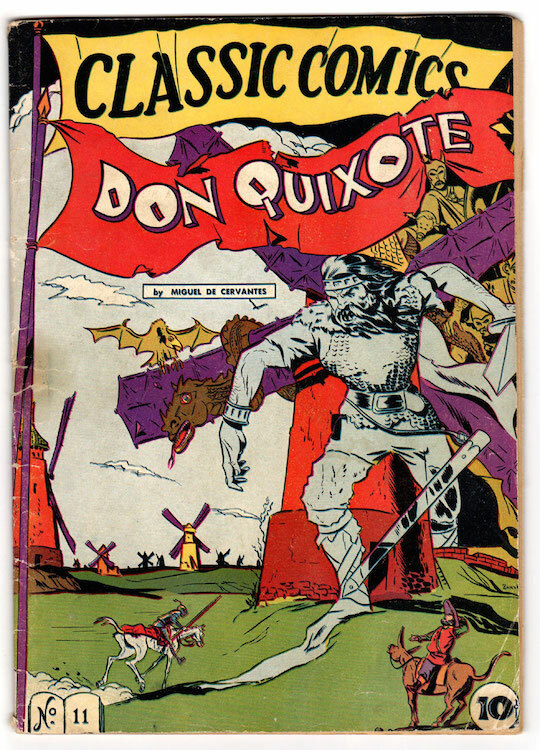 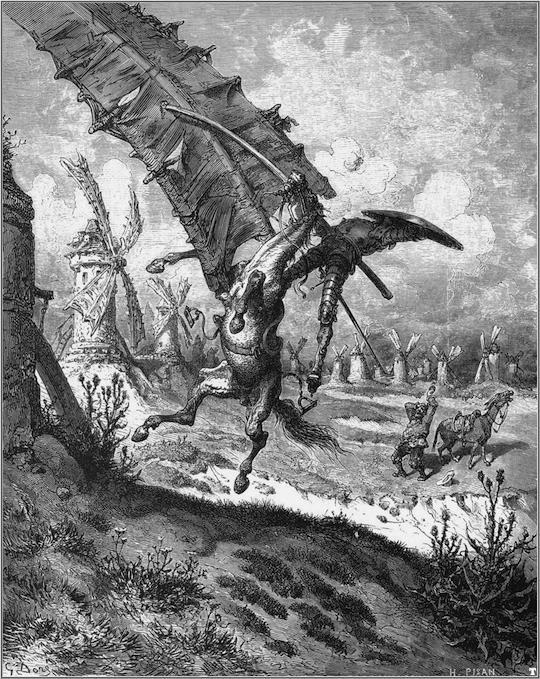 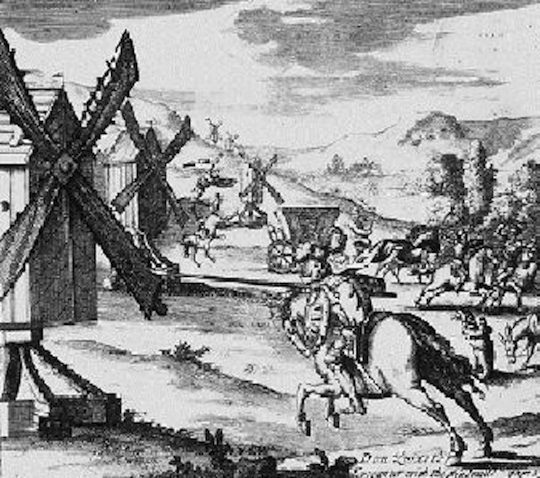 Chapter VIII of Part 1 of Don Quixote is titled ” Of the valourous Don Quixote’s success in the dreadful and never before imagined Adventure of the Windmills, with other events worthy of happy record.” I admire a chapter with a name like that. 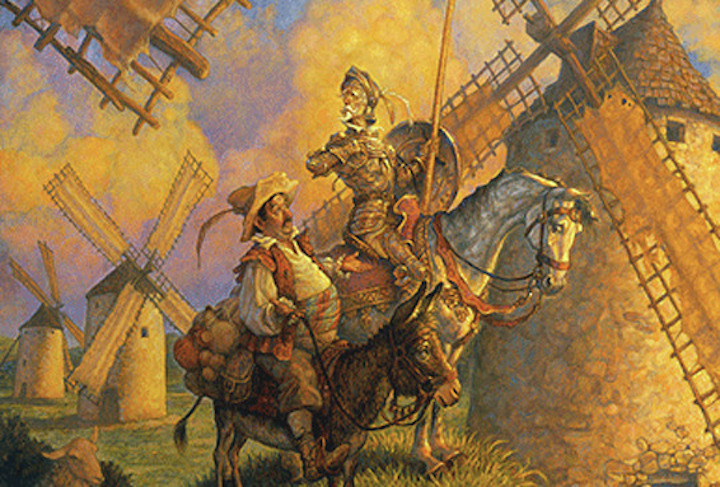 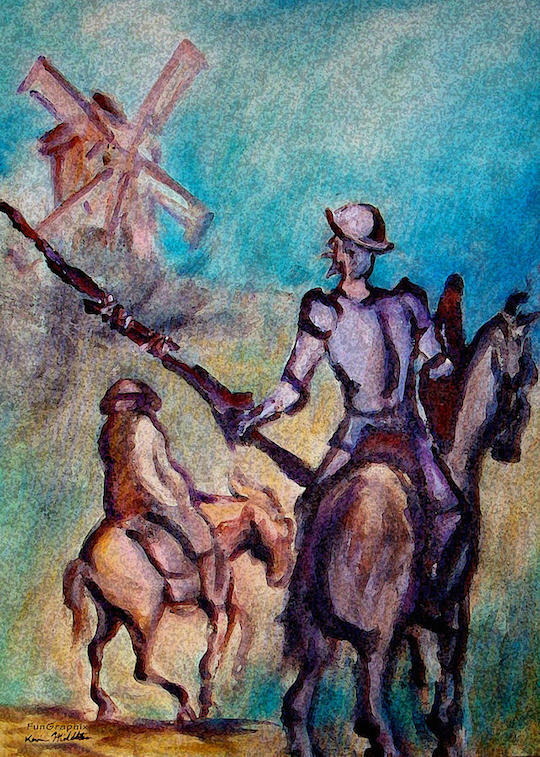 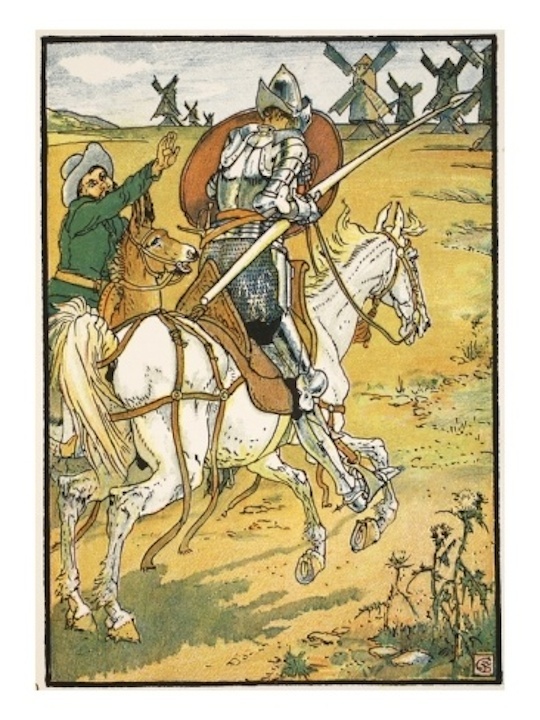 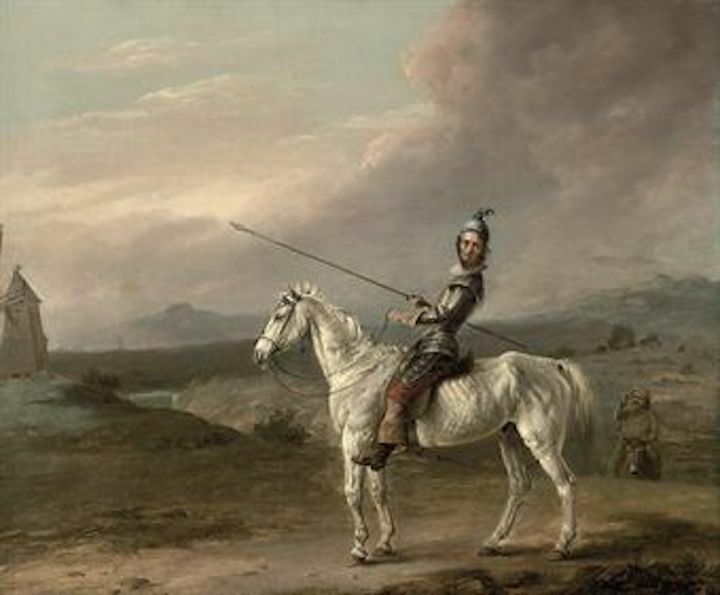 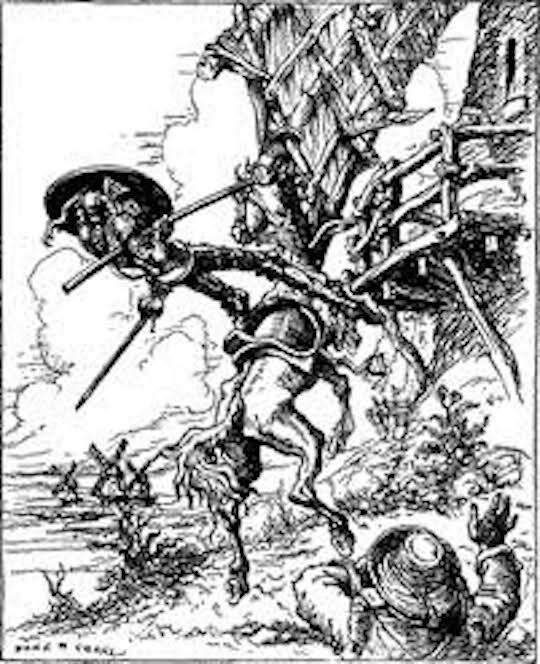 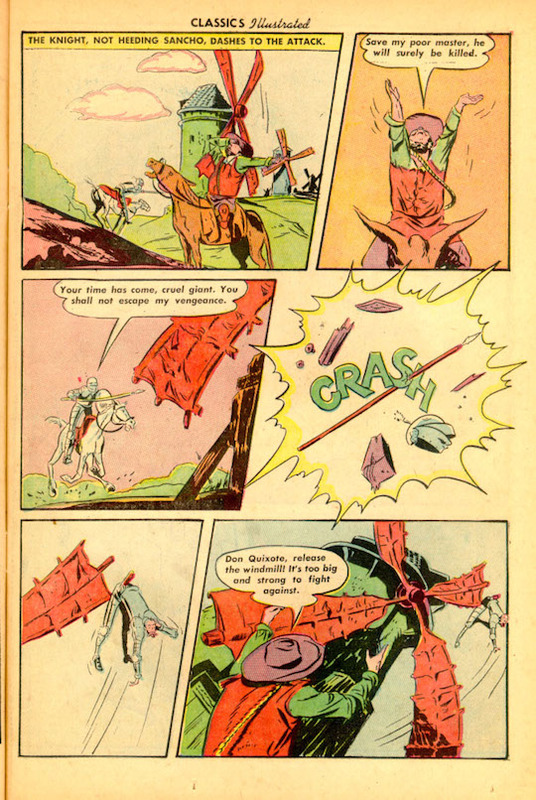 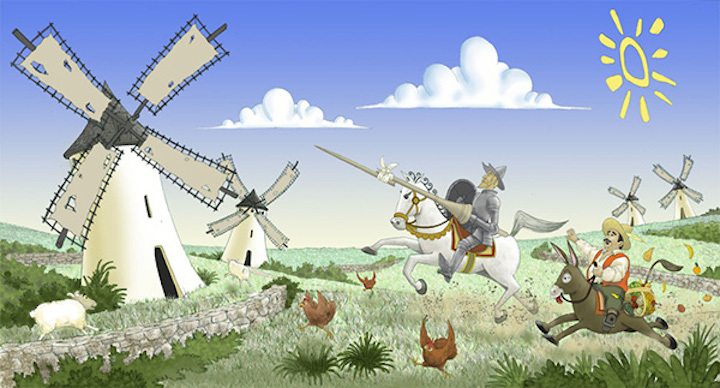 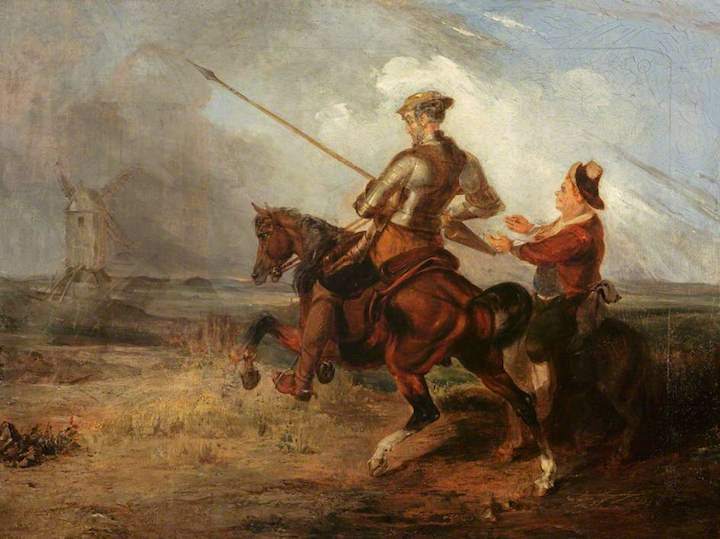 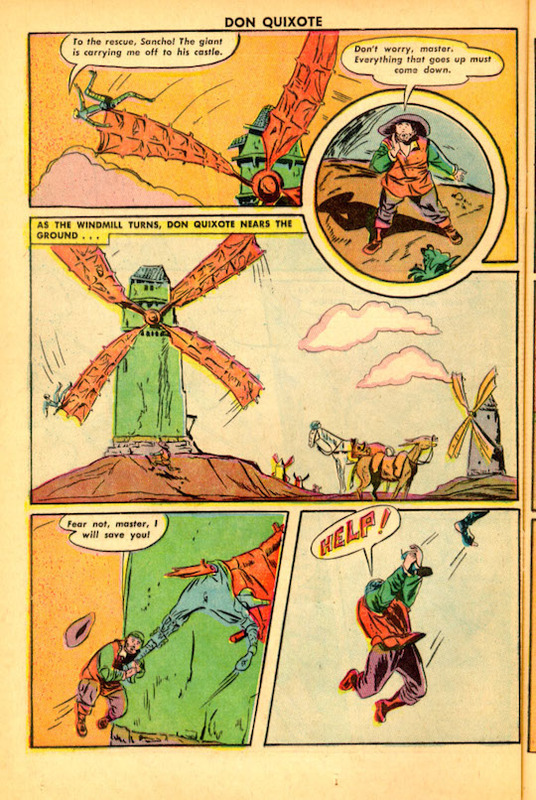 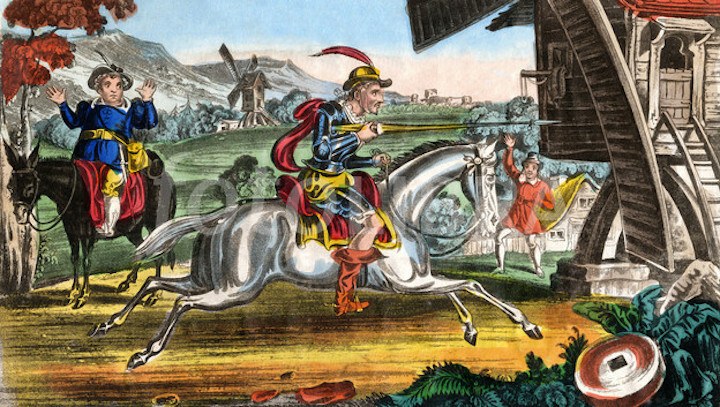 Collected here are images of Don Quixote tilting at his imaginary enemies, the windmills. 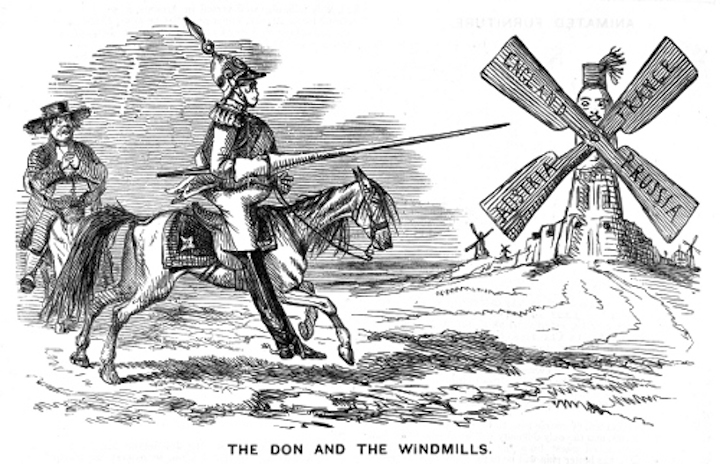 I showed these photos to my friend, who made two very interesting observations. 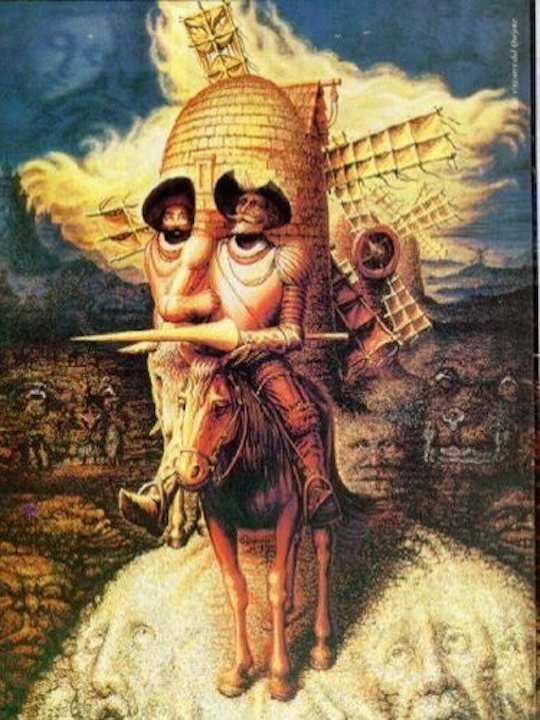 He had a point. 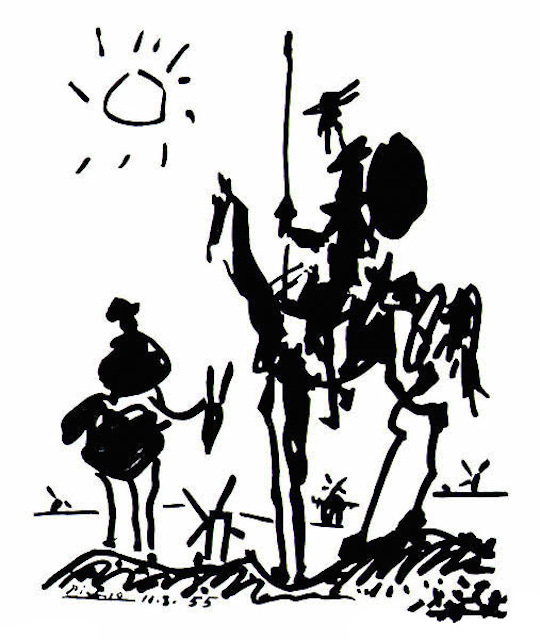 But what about all these paintings and drawings?